Professional Advice - Are you considering a boiler for your home or commercial building? Barone's Heat & Air, LLC has been working with forced hot water heating systems since 2009, designing, installing and maintaining boilers in buildings across the region. We have the knowledge you need for optimum design, including sizing, tank style, and location. Ask our experts for advice and direction; we're ready to utilize our experience and training to your advantage. Prompt Service - Barone's Heat & Air, LLC is equipped to handle all levels of hot water heating maintenance and installation. We work with new builds and renovation contractors to install modern systems, and we also offer repair and maintenance to existing boiler systems. 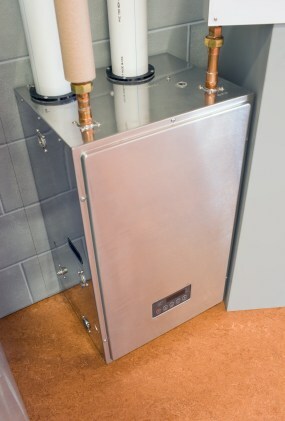 Although hot water heating systems run reliably, regular scheduled maintenance helps keep efficiency levels high. Barone's Heat & Air, LLC provides emergency service on your boiler, radiators and every component of your hot water heating system. Call (417) 232-0017 to speak to a qualified technician today. Trust your forced hot water heating system to Barone's Heat & Air, LLC, where expert staff members offer knowledgeable advice and prompt service. Call Barone's Heat & Air, LLC at (417) 232-0017 today for an estimate and further details.